Ranthambore National Park is located in the Sawai Madhopur district of Rajasthan. It is about 110 kms away from Kota and 140 kms from Jaipur. This wildlife sanctuary is home to tigers, sambar deer, striped hyenas, leopards, Indian wild boar, monkeys, peacocks, jackals, mongoose, and many other wild animals. The variety of species that can be seen on wildlife safaris in February makes it the best time to visit Rajasthan. To stay near the forest, V Resorts Tiger Inn Comfort Ranthambore is ideal for wildlife enthusiasts. The Blue City is a must-visit destination for photographers; the aquatic colour palette of Jodhpur offers a vast landscape to be captured. This is the second largest metropolitan city in Rajasthan which consists of palaces, forts, temples and a wide landscape of the Thar Desert. To see the other side of the city, you should visit Jhalamand, a quiet village adjacent to Jodhpur. Since February is the best time to visit Rajasthan, you should get the best of both worlds at once! You can stay at V Resorts Veergarh Jhalamand which is designed in traditional Marwari decor. The resort is located just 14 kms from Mehrangarh Fort and 9 kms from the Blue City. Being one of the oldest mountain ranges in the world, the Aravalli Range runs across two parts of the state, from South-West to North-West Rajasthan. The mountain range starts from Brahm Kheda, Sirohi and ends at Khetdi, Jhunjhunu. The picture postcard view of this mountain range is perfectly clear in February, which is the best time to visit Rajasthan. Near Udaipur, V Resorts Lake Alpi Kumbhalgarh offers undisturbed view of the Aravallis. The aesthetically-designed retreat is one of the more popular resorts near Udaipur. Called the ‘Open Art Gallery of India’, Mandawa is situated in the Shekhawati region of Rajasthan. The frescoed havelis of this town are aged between 100-300 years old. The best part is that you don’t just visit the grand heritage forts but you have the opportunity to live in them too, since many have been converted into luxury resorts to attract tourists. One such colourful fort is V Resorts Paawana Haveli Mandawa, where you can stay in an elaborate haveli and feel like kings and queens. The capital of Rajasthan is populated with some of the most beautiful heritage sites. Some of the most iconic Indian forts are situated in the Pink City. The forts of Jaipur include Amer Fort, Hawa Mahal, Jal Mahal, Jantar Mantar, Nahargarh Fort, Jaigarh Fort, Birla Mandir, and many other temples. You can plan to stay at V Resorts Adhbhut Jaipur which is in close proximity to Amer Fort. Both summer and winter are harsh in this Indian landscape, making February the best time to visit Rajasthan. 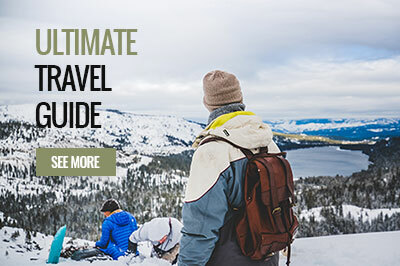 Marvelous architecture, wildlife sanctuaries, picturesque landscapes, rich culture, and historical significance make it a significant place to be included on your bucket list.